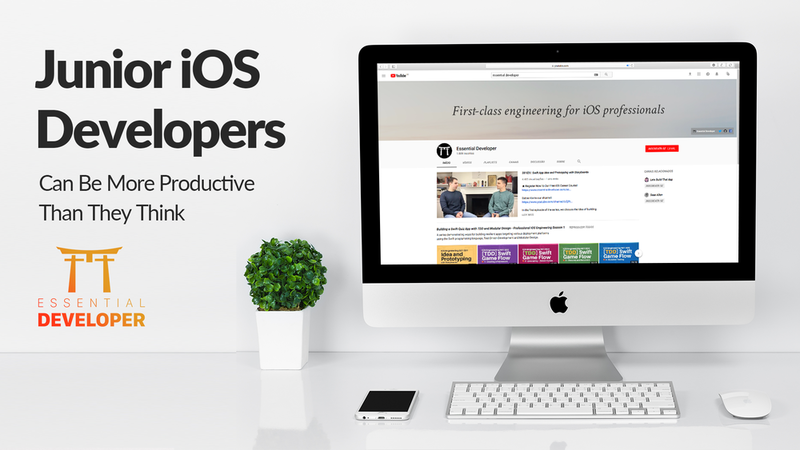 When we teach beginner and junior iOS developers it’s not uncommon for us to observe a false sense of low productivity and lack of accomplishment by them. We notice that many new and motivated programmers sit for hours, practicing, attending courses, watching videos and searching online for potential solutions to their problems. However, when we periodically ask them to give us a picture of how they feel they often respond negatively or with doubt as they couldn’t move forward on their project at the pace they expected. This is a false perception as we believe Junior iOS Developers can be much more productive than they think they are. Unfortunately, what a lot of young programmers don’t understand is that they measure their productivity with false metrics, such as lines of code produced per day. For example, assuming that a new developer aspires to be able to build successful products consisting of thousands of lines of code, it’s only natural for them to feel like they are “not getting close to their goal.” Building such complex systems can be an incredibly overwhelming task for a beginner. In reality, they are just setting up almost unachievable goals for their current experience. It takes years of practice to achieve the level of proficiency to carefully craft a clean and sustainable complex system. At Essential Developer, we teach our students that becoming a proficient software developer is a long and complex process. Not only it requires mastering the technical but also the social aspect of creating a system. Learning to understand how people and businesses operate and how to effectively collaborate is essential. Two skills can help beginners endure, the ability to persist over adversity and always keep learning. Thus, we advise our students that if they end the day more knowledgeable and capable than they started, they are on the right path and should stop worrying.